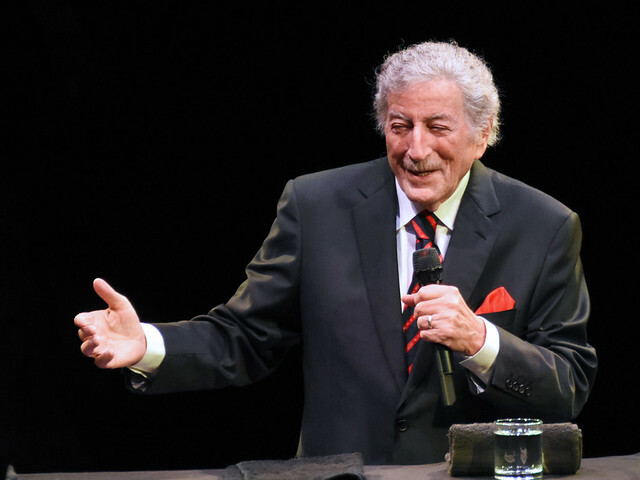 Legend Series: Tony Bennett Showed His Love For His Hometown Reviewed by Diane Woodcheke on May 20, 2018 . 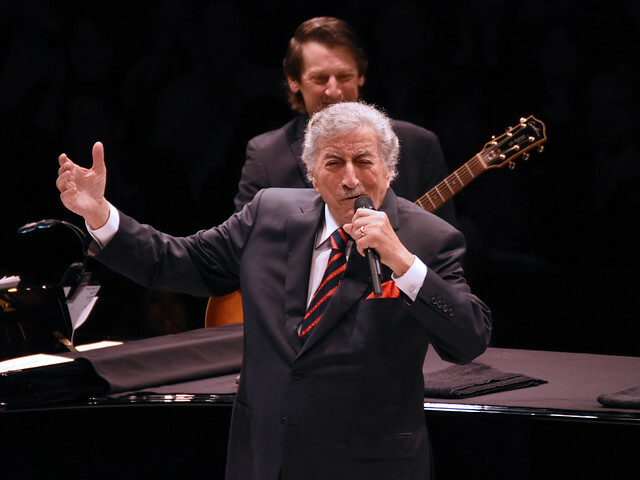 Tony Bennett Showed His Love For His Hometown Fans at the Theater at Westbury. Does age really matter? Not to Mr. Tony Bennett. At the age of 91 he is more active than most people less than half his age. Coming from a time where a simple radio was a family’s evening entertainment, he has seen quite a few changes in technology to say the least. But he embraces all kinds of change and has kept up with the times with ease in all aspects of his life, especially in the music scene. In most recent years he has formed relationships and recorded with the likes of Billy Joel, Bono, Christina Aguilera, Queen Latifah, Carrie Underwood, and Amy Winehouse, just to name a few. But of course the relationship he formed with Lady Gaga is most endearing. 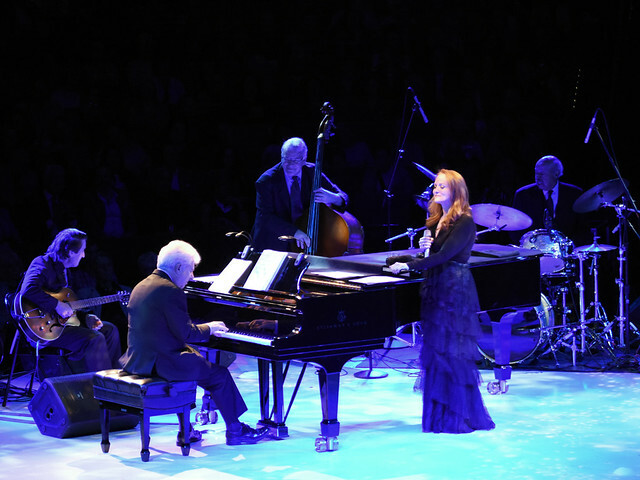 In 2011 she collaborated with him as part of his Duets II collaboration album, and since then they have made many public appearances including performing together last July 15th at the Hollywood Bowl on the song “Cheek To Cheek”. And while on the subject about keeping up with the times, he embraces social media as well. He has pages on all the popular sites and freely shares a lot of his activities. From long walks in Central Park on beautiful days with his wife Susan and best friend, his pup Happy, to the many wonderful things he involves himself in. He also regularly posts pictures of his beautiful paintings, which notably he signs with his birth name, Benedetto. 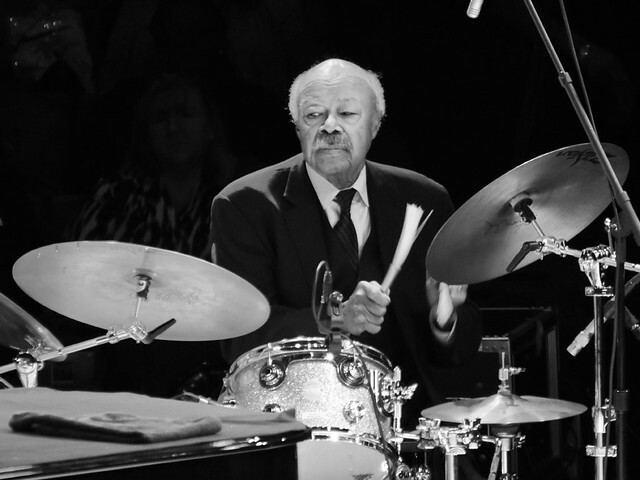 Looking back on Mr. Bennett’s extensive career, you need to look at where it all started. The legend was born in Astoria, Queens, NY in 1926 and was brought up in a time of poverty during the Great Depression. After the loss of his father at the tender age of ten years old, he found his love for singing, and by the age of thirteen he was earning money as a singing waiter in Italian restaurants right in his hometown. From those beginnings he knew the value of a dollar and formed a very strong work ethic that would continue throughout his life. With drive and determination, Anthony Benedetto had a strong desire to make it big. He would hone his crooner style of singing after artists before him, such as Frank Sinatra. Then in 1949 he had his first big break when he was asked to be Pearl Bailey’s opening act at a show attended by Bob Hope. Hope, impressed by Benedetto’s talent, asked him to join him on the road. As a suggestion by Hope, Anthony Benedetto decided to simplify his name and soon the world would get to know and love him as Tony Bennett. Bennett’s body of work consists of an impressive fifty-seven studio albums, eleven live albums, thirty-one compilation albums, three video albums, an extended play (EP), and an astonishing eighty-one chart topping singles. His first one being his No. 1 single in 1951, “Because Of You.” With that being said, it is no surprise that he has won an astonishing twenty Grammy Awards. 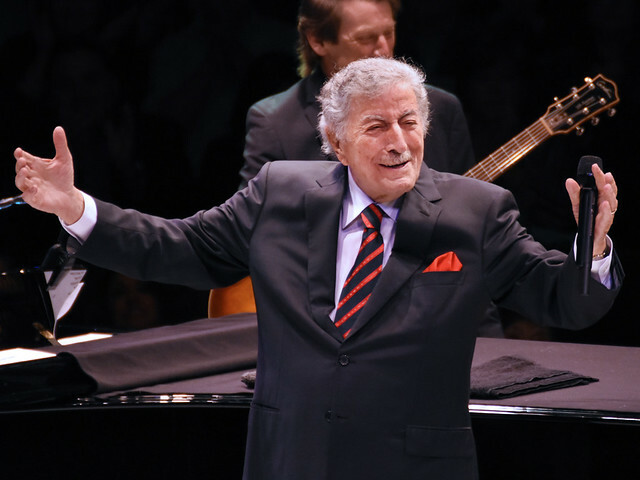 Winning his latest one earlier this year for Best Traditional Pop Vocal Album for Tony Bennett Celebrates 90 alongside his son and Producer, Dae Bennett. 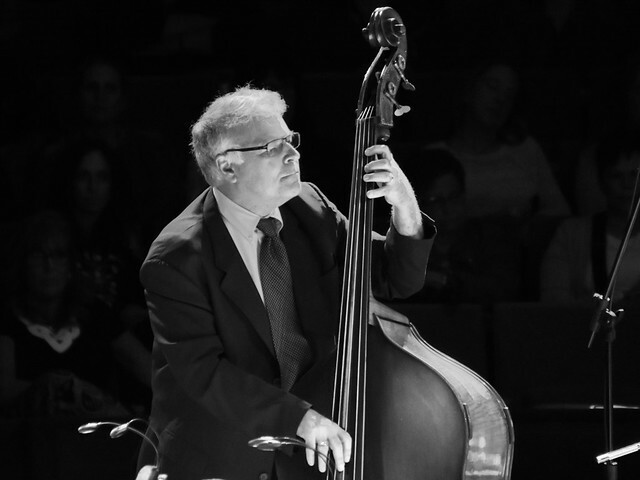 With a long list of other awards and recognitions, including two Emmy Awards, last year he was the recipient of the 2017 Library of Congress Gershwin Prize for Popular Song. He has sales of well over fifty million records worldwide. And he even a star on the Hollywood Walk Of Fame. 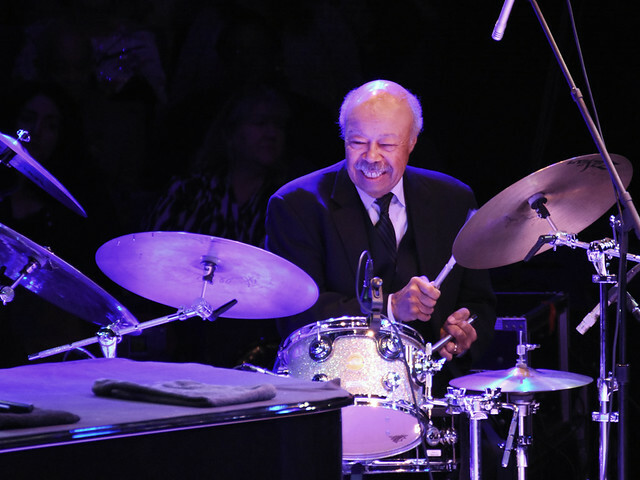 Since the beginning, Bennett has stayed consistent with his style of traditional pop standards, big band, and jazz. He has never been one to follow the latest fashions but has always kept up with the times while keeping true to himself. He is a big believer in giving the fans what they want most, to see him live and in person, and he continuously goes on the road touring and playing to sold out shows everywhere with no signs of stopping. 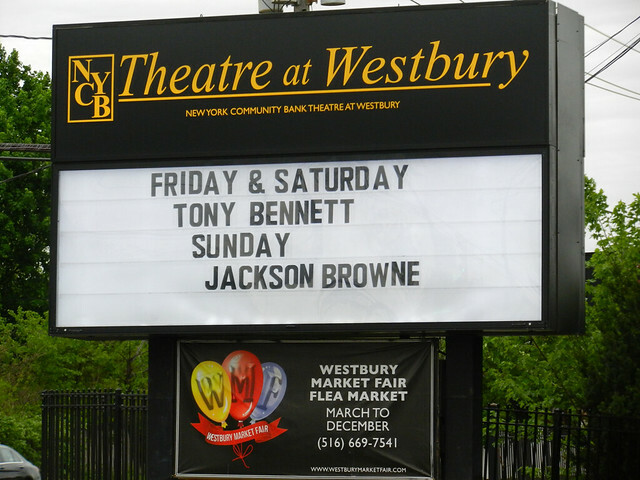 Sometimes the road takes him close to home and that is where he was on the rainy spring evening of May 18th for the first night of two consecutive nights at the NYCB Theatre at Westbury in Westbury, NY. Always a special show, taking place a mere twenty-five miles from where he grew up, the mood was energetic and people were full of smiles. The majority of his fans attending were senior couples, mothers and daughters, entire families who filled rows of seating, and people of all ages were scattered about the full circle arena. 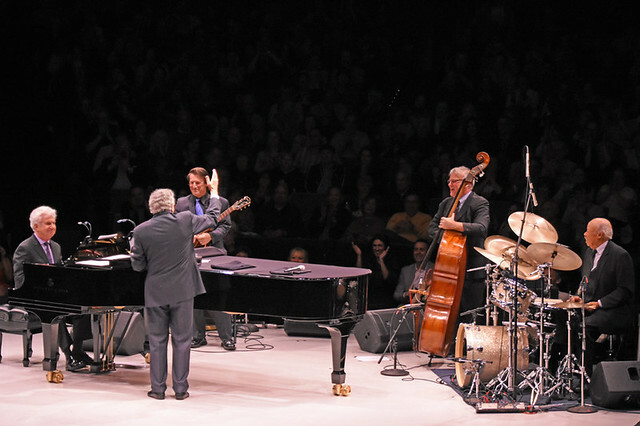 The night’s performances started first with a jazz song played by The Tony Bennett Quartet; Gray Sargent (guitar), Billy Stritch (piano), Marshall Wood (bass) and Harold Jones (drums). Just as the song was coming to an end, Mr. Bennett’s beautiful daughter, Antonia Bennett, came to join them on stage to perform for the crowd. She sang a short set that included a song she dedicated to her father, “You’re A Lucky Guy,” and an Elvis Presley cover, “Always On My Mind” and concluded with a special rendition of Frank Sinatra’s “From This Moment On.” The crowd freely cheered after each song and she blew kisses at them all before leaving the stage to make way for the man of the evening. 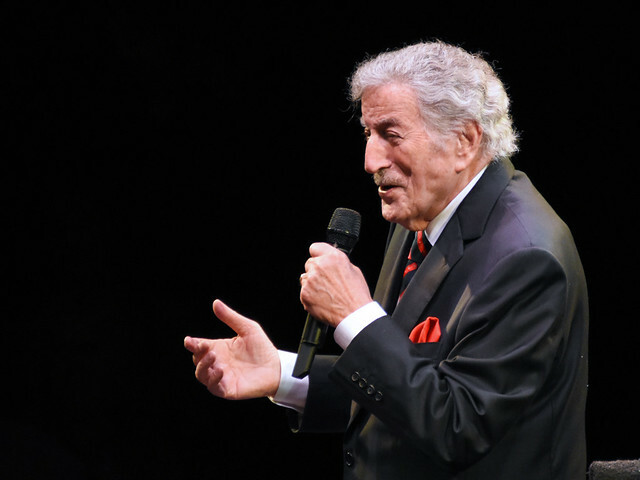 Within moments of Antonia leaving the stage, Mr. Tony Bennett came walking down the aisle. Once on stage, he was all smiles and waving to everyone while making sure to send his love to all his adoring fans. He then extended his arms briefly and hugged himself as to signify he was hugging all of them; it was a very tender moment. Then the time came to get down to business and Bennett started strong with “Watch What Happens.” He continued to mesmerize the audience with “They All Laughed,” “This Is All I Ask,” “I Got Rhythm” and “(In My) Solitude.” During “I’m Old Fashioned” each musician took a turn to solo and Bennett would go stand by each one as they played, he purely enjoyed it as much as the audience and he gave props to each of them as they finished their time in the spotlight. Before leaving the stage he made sure to look around the entire venue, wave and hugged himself again. As he left the stage he took several minutes before making it backstage as he was shaking hands with his fans all along the way. There were many moments throughout the performance where Bennett would talk to his fans about the songs or just to simple smile and wave to them. His voice was so strong and he was always in perfect key. At times he would belt out the vocals but there were also times where he would sing as softly as a floating feather, he never missed a moment and shined throughout his performance. Bennett’s tour continues through this year with many dates to come, this is by far one classic performer you do not want to miss the opportunity of seeing live.